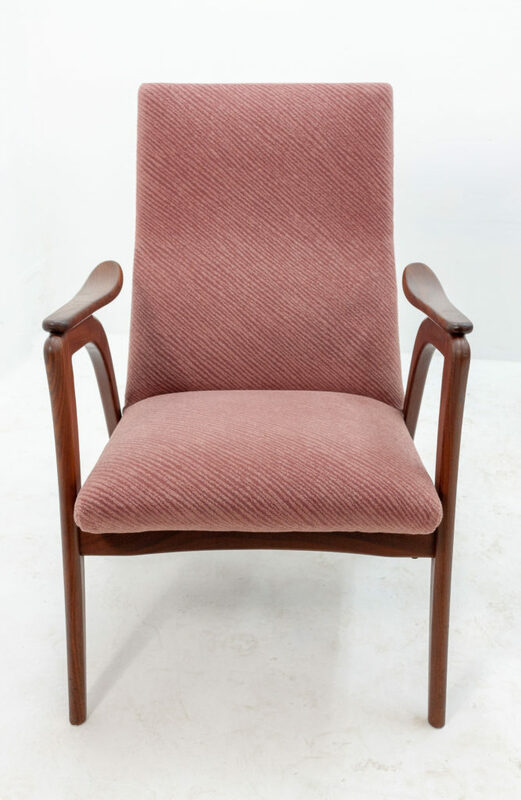 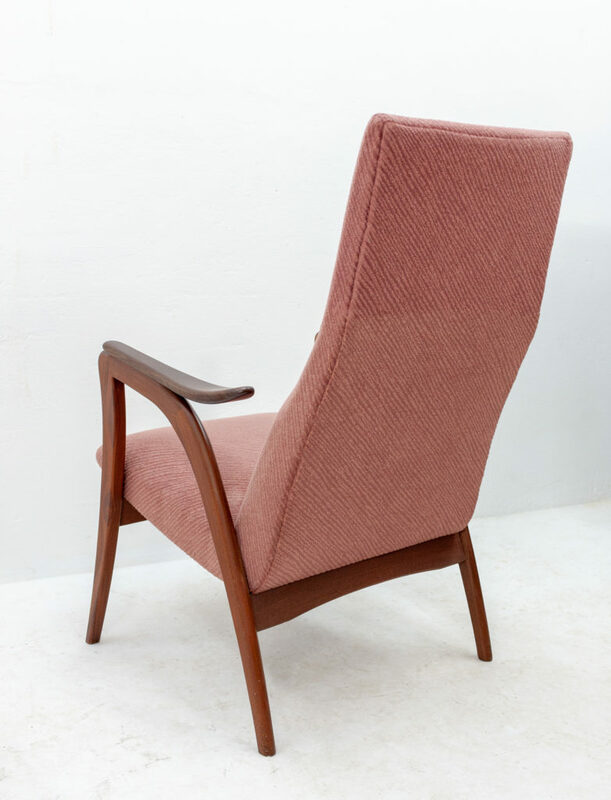 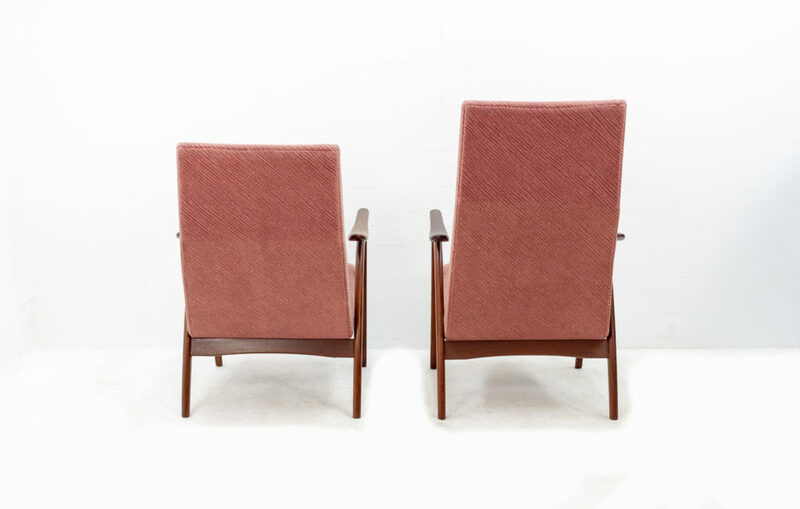 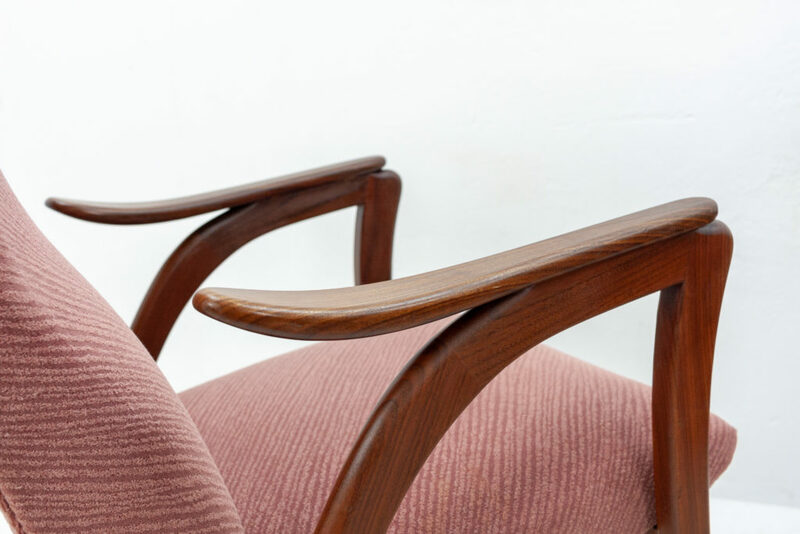 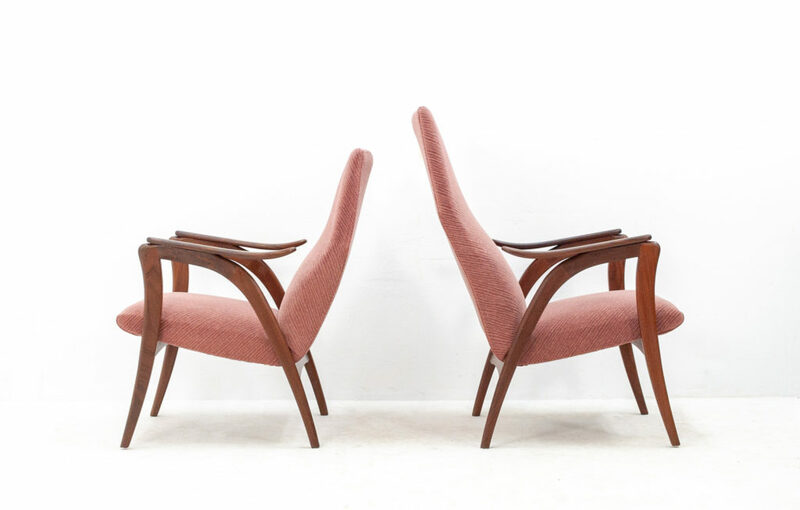 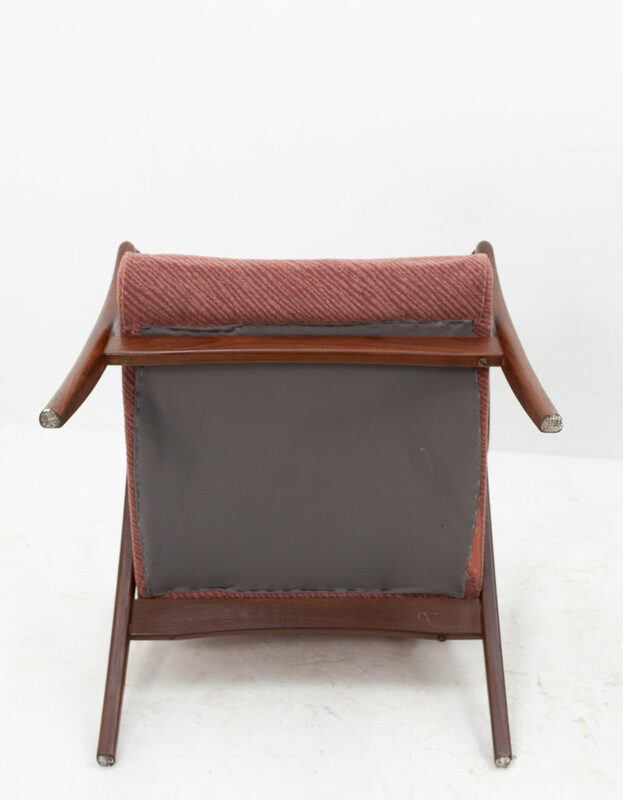 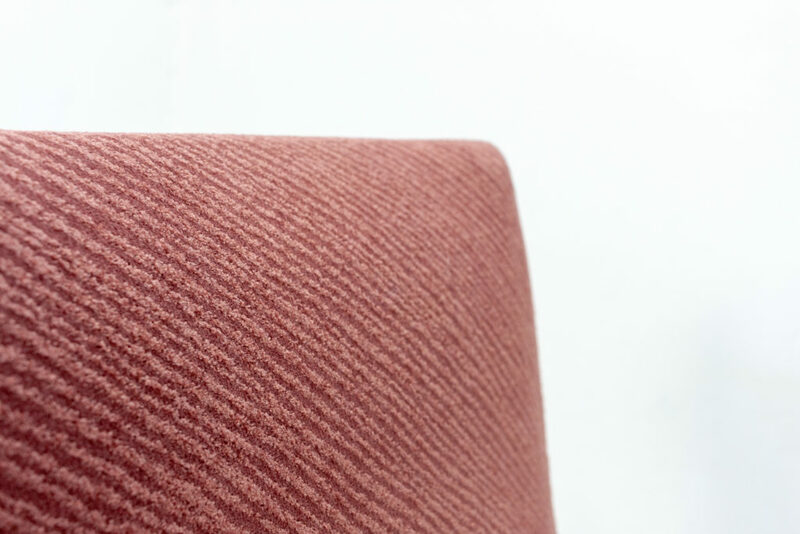 Two characteristically 1950s lounge chairs featuring antique pink woolen upholstery and a very nicely shaped solid teak frame with floating armrests. 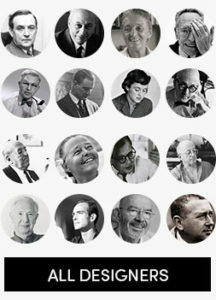 Most likely Dutch in origin. 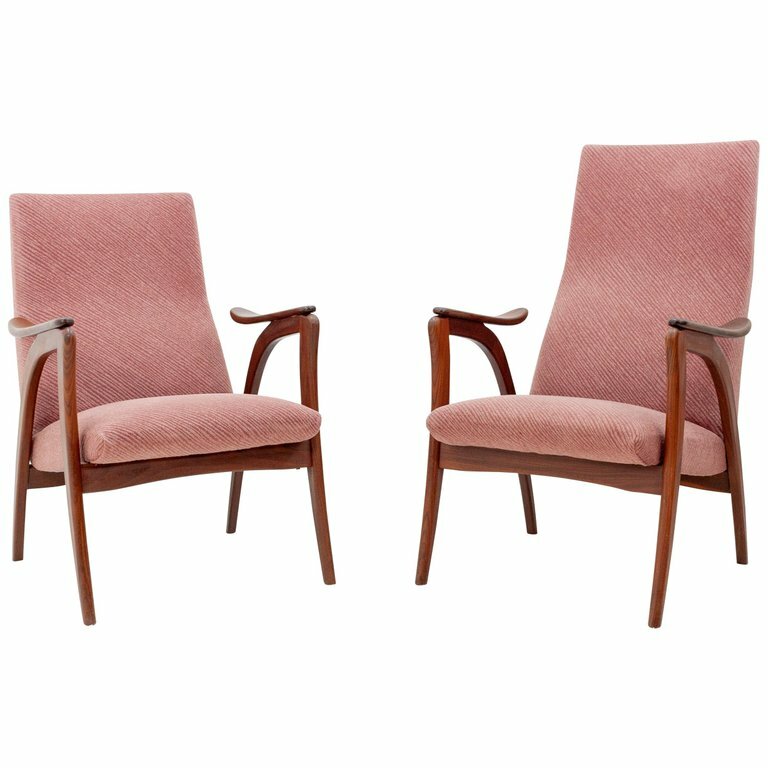 The measurements provided are for the larger of the two, the back on the smaller chair is 10cm lower.